With the APC40 Akai once again lead the way in cutting edge technology for the professional DJ. Developed in partnership with Ableton, Akai have created the perfect Ableton control surface. The feature list is incredibly impressive and includes bidirectional communication between the APC40 and Ableton and auto mapping of all functions - no manual mapping necessary. Of course, controls can be remapped if you wish to. The APC40 ships wth Ableton Live, Akai APC Edition however if you already own Live, a free patch will be available to upgrade you. If you perhaps using different software however, you haven’t been left out. 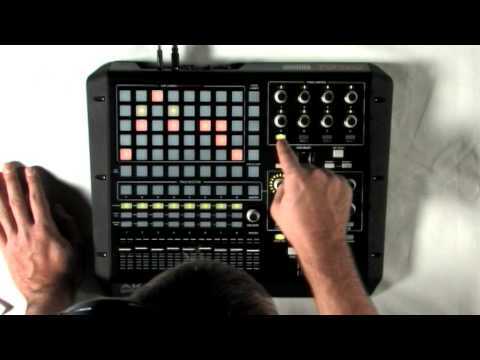 The APC40 includes a Generic Mode for use with whatever software you prefer. Controls are clearly laid out and defined and include a Clip Matrix with an 8×5 grid of 40 triggers all of which are multicloured. This gives you a good idea of what is loaded, what is playing and what is being recorded at any one time. LEDs surround each knob to make it easier to see what you are doing also. The Alesis APC40 will become an essential piece of tech for anyone using Ableton seriously for DJing or production work for years to come. Considering purchasing the Akai APC40? Have questions? Ask people who've recently bought one. Do you own the Akai APC40? Why not write a review based on your experience with it. 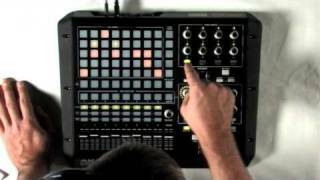 Seen a video for Akai APC40 online or have you own video? You will earn 1,140 loyalty points with this product worth £2.85, when logged in. Check out Akai APC40 on DJkit.com!